Where is the Scientific Methodology in TMD Treatment? If TMD dentists would only learn how to begin to 1) objectively measure their patients physiologic jaw responses both in function and in habitual resting modes, 2) learn and understand what the acquired functional data means, 3) properly interpret the objective data as to how it adds to the diagnostics profile prior to any treatment, 4) relax spastic musculature to move hypertonic muscles closer toward relaxed muscles – homeostasis prior to assuming the habitual relationship of the mandible to the maxilla is “normal”, 5) record a mandible to maxillary jaw relationship based on a more homeostatic state to establish a diagnosis to better assess the 6 dimensional relationships rather than assuming the patients bite relationship is ok, 6) Functionally test this more physiologic jaw relationship with a removable orthotic to see whether existing symptoms of the musculature and joint apparatus and cervical neck complaints alter or change, 7) implement detailed gnathic and micro occlusal adjustment protocols to this orthotic (intra oral) to further improve the proprioceptive signally so the patient can feel comfortable and stable during functional chew and resting modes PRIOR to concluding joint surgery or any irreversible treatment to the existing dentition or musculature is rendered. A diagnosis of the craniomandibular complex should be based on objective studies, measurements, a detailed functional tested analysis of this dynamic system….Static data will only give a one sided diagnostic perspective that leads to misdiagnosis, flawed theories and erroneous treatment. That is the problem with the dental profession – drawing conclusions and making up philosophies and theories based on half information!! This is what leads to confusion. Dentists need to learn how to be clinical scientists and learn to be rational in their approach to implement a logical systematic process to find the truth about their patient’s symptoms, pain, dysfunctions and joint derangement problems. Isn’t this what scientific methodology is about? It should be based on empirical or measurable evidence subject to specific principles of reasoning. Where is the Scientific Methodology Implemented to Solve TMD’s Clinical Problems? Scientific methodology is an exploratory process that allows the TMD clinician to search for answers by his/her clinical observations. Questions that arise must be answered by testing one’s hypothesis before concluding what the answer or rendering a particular mode of treatment. Temporomandibular joint dysfunctions involving muscular dysfunctions, joint derangement and pain problems can be easily tested using objective testing for measurable outcomes. For example, clinical dentists who take on the roll of investigative scientists are able to study how muscles respond various mandibular positions, how occlusal (bite) relationships during functional movements of the jaw respond to different changes with an orthotic (intra oral device that is removable) and how the temporomandibular joint conditions respond when condylar/disc position is altered based on jaw movements and mandibular positioning. 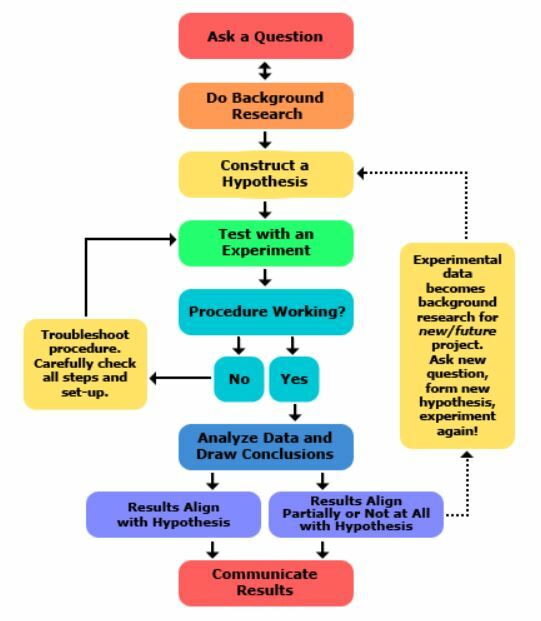 There can be many variations of the scientific method as there are clinical scientists, yet the goal should remain the same: to discover the cause and effect of those relationships by asking insightful questions. How to relate the mandible to the maxila physiologically? Can the musculature of the jaw function free of pain and dysfunction? Can the temporomandibular joints function free of dysfunction and pain? Does one’s bite/occlusion have any effect on the various musculoskeletal cranio-mandibular (CMD), or orofacial pain problems experienced in the head and neck regions? A careful systematic process of gather objective measured data, examination of that evidence and skilled interpretation of those findings must be developed and analyzed in order to arrive at a logical conclusion – answers. Scientific methods are a series of steps designed to discover new information. New information leads to a new way of thinking, which leads to a new diagnosis and new treatment approach. The scientific process may cause a clinical dental investigator/scientist to back up and repeat steps at any point during the process to make sure that data he/she is gathering is consistent prior to drawing conclusions when attempting to arrive at a definitive treatment methodology. A process like the scientific method described and outlined above involves testings and iterative steps of stabilization during phase 1 orthotic stabilization to assure the clinician and TMD patient that a particular phase 2 finalizing treatment process is a correct one to take or not.